Unlike a few years back when the only lock that you needed to secure your house with is that of a typical doorknob’s, these days the scene has totally changed. Thieves and unsavoury characters use equipment and tools to get through even the most sophisticated alarm systems. With home invasion incidents on the rise, how are you supposed to protect your property and ensure the safety of your family? It all lies with the security system that you have installed at home. There are many ways that you can ensure the physical safety of your home. Let’s say that you just moved into a newly-purchased house. The realtor hands over a set of house keys to you. Even if the realtor has already gained your trust, you will never know who the previous owners possibly gave an extra set of keys to. This is precisely the reason why you need to change the locks as soon as you move in. 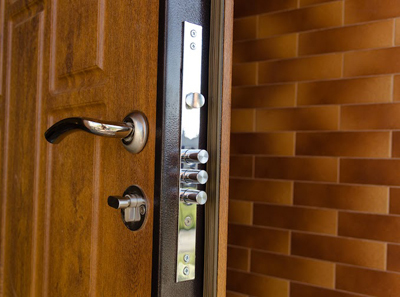 Get the help of a professional in locksmith Issaquah who can change the locks for you, and install additional ones to beef up the security of your home if necessary. If you have a fancy electronic home alarm system, that’s even better. However, make sure that you are not careless enough not to arm it even while you are at home. One of the biggest mistakes made by homeowners is not activating the alarm system while they’re at home. This can be quite tricky because criminals are sneaky enough to invade your home while you’re sleeping or doing even the most mundane activities. You should also make sure not to hand over your home keys when you are giving your car keys to the valet for parking, or when having your car fixed at the garage. By taking the extra step in making sure that your house keys are secure, you can ensure the safety of your home.